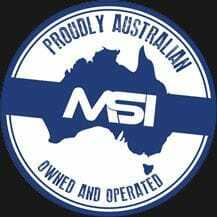 Multi Slide Industries operate the largest range of wire forming machines across Australia and is proudly 30 years Australian owned & operated. Our machines are capable of forming a wide range of materials while producing a quality high end product, repeatedly & consistently. We operate a wide range of CNC and mechanical wire and strip forming equipment. 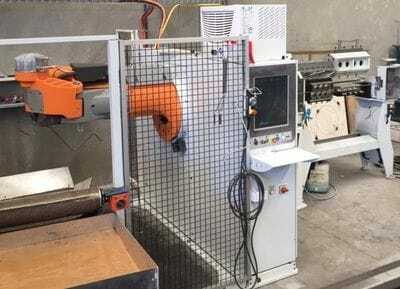 These machines are complemented by robotic welders, wire straightening and cutting machines, pedestal welders, 2D and 3D CNC machines, special purpose welding and nylon coating equipment. Our wide range of experience and specialist in-house technology allows us to manage low, medium and high volume projects. Multi Slide's New CNC Bending Machine has arrived! Our new machine has arrived and is now up and running! It extends our capabilities to wire diameters of up to 13mm, provides the ability to generate various curves in wires up to 13mm diameter, offers longer arm lengths (distances between bends) and allows for limitless angle orientation between bends. These features make the machine ideal for forming large diameter wire products for the furniture industry, as well as offering greater scope for our customers in other industries including agriculture, aquaculture, sports & leisure, building & construction plus other miscellaneous products. Our team are ready to discuss with you how we can assist with any of your wire or strip forming requirements. Please call us, or email us via the contact form to discuss further. We are currently producing a Grape Vine Wire Trainer which assists in supporting young vines, and attaches to the trellis wire. Manufactured from 2.8mm galvanized wire this product lasts longer than bamboo stakes and can be re-used for future planting. Existing customers have found the vine trainer easier and faster to install and some have commented that it does not choke the top bud as string can. Security of equipment is unfortunately a necessary part of our lives these days. Whether it's for expensive or delicate equipment or for safety reasons, there is a need to provide non-intrusive protection. Multi Slide Industries manufacture many versions of security guards or cages for your equipment. The video below is a recent job we undertook for PIRSA, where they needed to protect some on-the-ground Xmas lights. They were delighted with the final product.